The GSX-S750Z blends GSX-R750-derived engine performance with an ergonomically sound chassis to fashion a naked sportbike that gathers attention everywhere you ride it thanks to its dark, sinister appearance. The GSX-S750Z’s aggressive styling with blacked out engine and chassis components set it apart from other middleweight sportbikes, and many of those competitors cost considerably more to purchase and own. As with the GSX-S1000, this GSX-S750Z inherits its heart and soul from Suzuki’s MotoGP race experience and the 30-year heritage of the GSX-R750. With strong, torque-rich engine power and a suite of rider-assist features, this GSX-S750Z is ready to capture hearts and turn heads as the performance value leader in its class. This is the perfect sportbike response to the craving of today’s discriminating riders, as the GSX-S750Z looks great and outperforms other entries in the class. 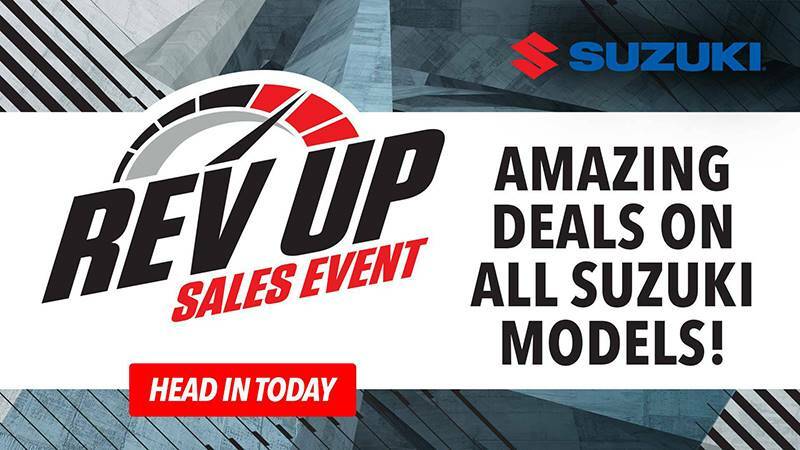 It is nimble, comfortable, and an exhilarating, fun ride that retains Suzuki’s heritage of quality and reliability. With styling influenced by the GSX-S1000, but with its own aggressive turn, the GSX-S750 ABS new bodywork looks wild and forceful yet keeps the rider comfortable at all times. Headlight nacelle provides a visual focal point while the under-cowl connects the chassis styling to the engine and new exhaust system. Large-diameter, matte-black tapered handlebars damp vibration while adding style and good control leverage for the rider. The low seat height of 820mm (32.2 inches) contributes to the sporty, yet upright riding position and aids rider confidence at stops. Four-piston Nissin Monobloc brake calipers squeeze twin, 310mm wave-style brake rotors up front with a single-piston rear caliper out back to help deliver controlled stops. Both the front and rear brakes can be modulated by a compact Anti-lock Brake System (ABS)** controller to match stopping force to the available traction. Inverted, black anodized KYB fork feature a spring preload-adjustable design, which provides a solid foundation for the Nissin radial-mount brake calipers. The trapezoidal, beam-type swingarm tapers down to precise chain adjusters that add strength and style. The black finish, aluminum hand and foot controls provide excellent action and contribute to the motorcycle’s sporty style. This GSX-S750 ABS has the Suzuki’s Easy Start System that requires just a simple touch of the starter button to fire up the engine (without pulling the clutch lever if the transmission is in neutral). Distinctively shaped headlight nacelle contains a bright 60/55-watt H4 halogen bulb. The tail section houses an integrated LED taillight with a dual-pane, red/clear lens. Similar to the GSX-S1000, the new lightweight and compact instrument panel uses a LCD display that includes speedometer, tachometer, odometer, dual trip meters, gear position, coolant temperatures, driving range, average fuel consumption, instantaneous fuel consumption, traction control, ABS alert, and a clock function. Potent 749cc four-cylinder, fuel injected engine uses 2005 GSX-R750 architecture so the power delivery is an excellent bled of strong low end and a muscular top end. Using the K5 generation GSX-R engine architecture also permits a shorter chassis, which greatly enhances handling. This also makes the GSX-S750 ABS the only motorcycle in its class with an engine with SuperSport lineage. Ventilation holes are added to the bottom side of each cylinder in the GSX-S750 ABS crankcase. The holes reduce pumping loss to help produce power and gain fuel economy. Camshafts tuned specifically for the GSX-S750 ABS deliver a dynamic wave of smooth torque and strong acceleration. 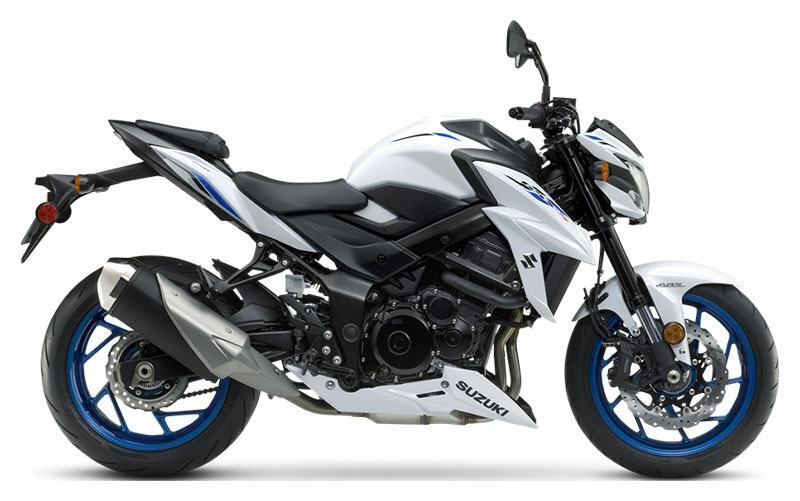 The TI-ISC on the GSX-S750 ABS has Suzuki’s Low RPM Assist feature that seamlessly adjusts engine speed during takeoff and low-speed riding to smooth the power delivery and to help reduce the possibility of the rider stalling the motorcycle. A large capacity airbox is used to match the higher engine output. The air inlets have been designed to provide an exciting auditory experience. Suzuki’s Advanced Traction Control System* lets the GSX-S750 ABS rider control the throttle with more confidence in various riding conditions. As a result, the rider can enjoy sport riding with less anxiety. There are four traction control modes (1, 2, 3, and OFF) that the rider can easily adjust at rest or on the fly via a handlebar-mounted control. The difference between the modes are their sensitivity to road conditions. Mode 1 is the lowest sensitivity level; most suitable for skilled riders or in conditions that have good road surface grip (sport riding on good, smooth roads). Mode 2 is a moderate sensitivity level; suitable for most riders or in conditions that have varied road surface grip (city riding, regular road conditions). Mode 3 is the highest sensitivity level; suitable for road conditions where the grip may be limited (wet or cold surfaces). OFF disengages all traction control features. The digital ignition fires iridium-type spark plugs that increase spark strength and combustion efficiency, contributing to higher power, more linear throttle response, easier engine start-up, and a more stable idle. These quality components also last longer than conventional spark plugs. Fuel-injected, 749cc, 4-cylinder engine uses GSX-R architecture to deliver a torque-rich sportbike experience. Suzuki Advanced Traction Control* lets the rider select sensitivity to match road conditions. 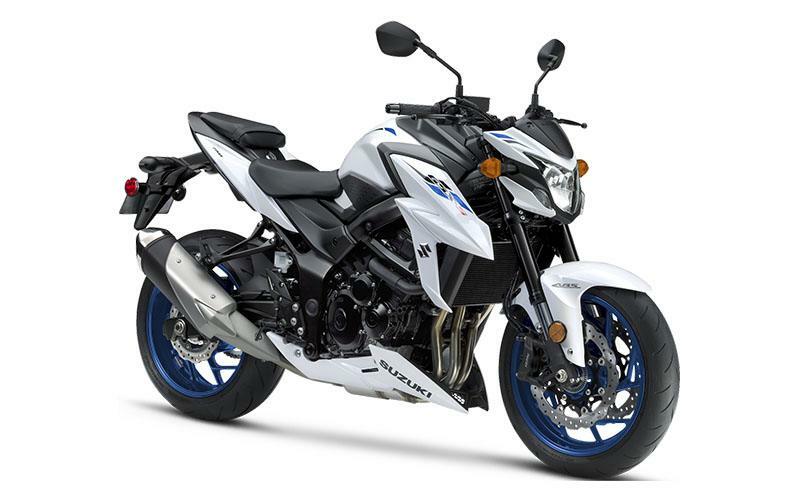 Equipped with a compact, smooth-operating Anti-lock Braking System (ABS)**, the GSX-S750 ABS has front Nissin Monobloc four-piston brake calipers, and twin, wave-style brake rotors supply strong and consistent braking performance. Aggressive styling, with cues from the renowned GSX-S1000, surround an ergonomically comfortable yet sporty riding position. The shorter final gear ratio enables the new GSX-S750 ABS to accelerate quicker than the prior model, while the additional engine power maintains the same top speed potential. Large diameter, wet multi-plate clutch is derived from a GSX-R750 design to easily transmit power, while the rack-and-pinion clutch release provides the rider with superb friction-point feel.